Cartagena of the West Indies, or simply ‘Cartagena’ as it is widely known, is a thriving city on the northern coast of Colombia. 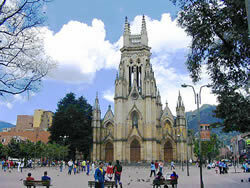 It is the fifth largest city in Colombia and both a thriving economic centre and a popular tourist destination. Spanish commander Pedro de Heredia founded the city on the site of a former village, on the 1st of June 1533. Heredia decided to name his newfound place ‘Cartagena’ after a city by the same name in Spain which was the home of his sailors. The city was destroyed by fire in its early years, when it had just one church and as few as 2000 inhabitants. Work soon began on rebuilding, but the new, prosperous city attracted pirates and pillagers so walls and castles were built to secure it, a number of which still remain today. Situated on the north-western coast of Colombia, Cartagena is located approximately mid-way between the border of Venezuela to its north and Panama to its south. Located on the coast of the Caribbean Sea, north of the equator, the city experiences a tropical wet and dry climate with high humidity. Typical rainy months tend to be April-May and October-November. The remaining months experience winds from the Caribbean Sea which help to cool the very high temperatures of up to 37ºC (98.5ºF). Today the city has an estimated population of 1,243,000 and is a popular tourist destination. It is home to theatres, concert halls, museums, parks and a host of national and international culinary delights. There are bars, discotheques, clubs and fine restaurants, and its Caribbean coastline has a number of excellent beaches. Cartagena is a vibrant and exciting city brimming with history and culture, and a 'must' on every traveller's itinerary. Why not take a few weeks of classes in Cartagena? The city offers a great environment to study Spanish, get to know the locals and immerse yourself in the rich Colombian culture. 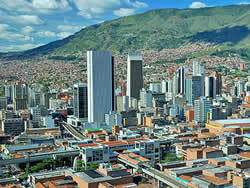 Spanish Study here can also be combined with study in the cities of Bogota, Medellin & Leticia. "Bocagrande", "Boquila", "Manzanillo" and more! Cartagena boasts a great selection of beaches; both Bocagrande & Laguito can be found just a few steps past the old city walls but are usually packed with tourists. A little further afield, you can arrive to Boquilla beach and Manzanillo beach in around 30 minutes by bus. Bochachica Island has a great beach and can only be reached by boat. 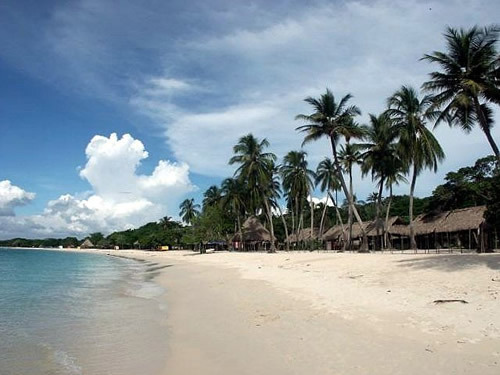 To the South of the City there are many beaches with pristine coral reefs and dive schools. 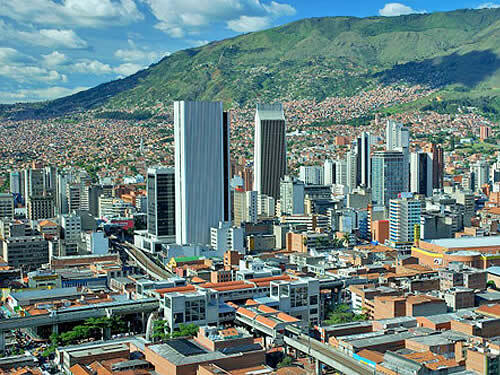 The vibrant cosmopolitan capital of Colombia counts eight million inhabitants, all of whom are very proud of their city and notoriously friendly towards its visitors. 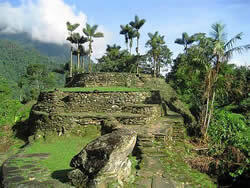 Deep in the Jungle of the ‘Sierra Nevada de Santa Marta’ you will find Colombia’s alternative to Machu Picchu. It can only be reached by a 3 Day trek through the jungle. The Lost City is one of the most important archeological sites in the Americas and used to be inhabited by the mysterious Tayrona Indians. Click here for more information and to book this unforgettable trek!